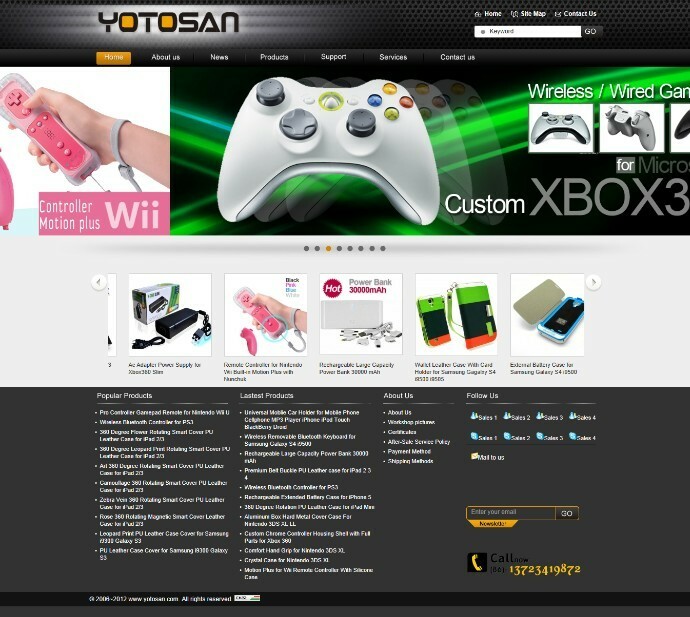 As a professional manufacturer of video games accessories for years,Shenzhen Yotosan Electronics Technology Ltd primarily provides Nintendo Wii &amp; DSi XL DSi DS Lite, SONY PSP3000 PSP2000 PSP PS3 PS2, Microsoft xBox360, Apple iPad, iphone etc accessories,as well as the OEM ODM productions. At present, there are more than 300 kinds of models products sell well in the international market. ·PHONIC Electronics Trading Co., Ltd.